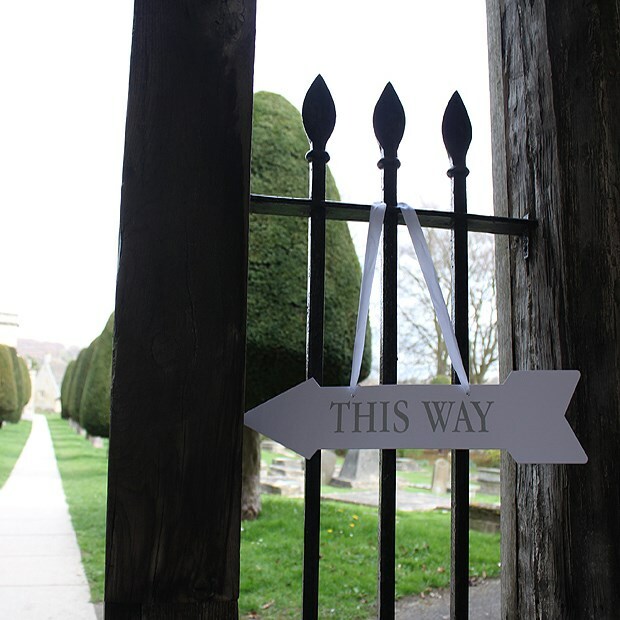 Party signs with white satin ribbon handles, to welcome and direct your guests. 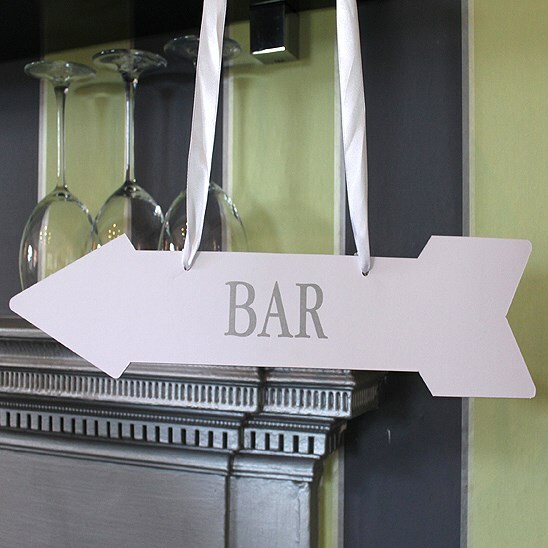 Perfect for weddings, large celebrations and party venues. 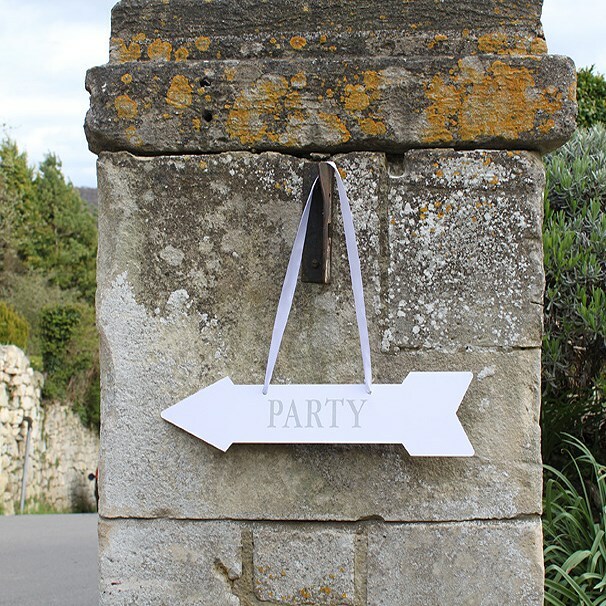 Party, Bar, Wedding, This Way, and Toilets.